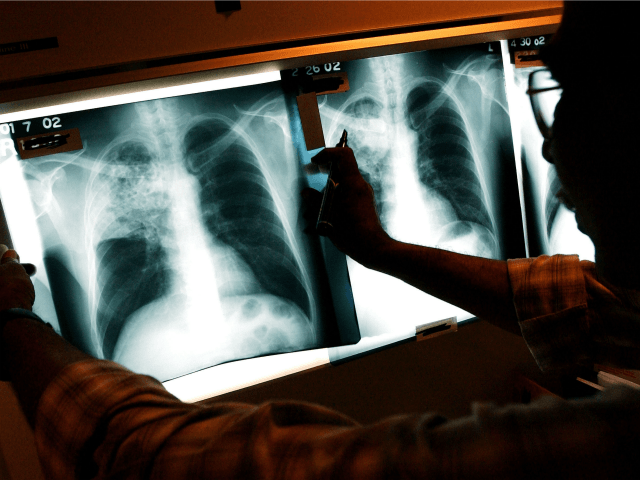 This was the highest percentage ever, marking a steady three decade rise from 1986, when only 22 percent of all TB cases reported in the United States were diagnosed in foreign born residents. Last year, in 2016, 68 percent of TB cases were foreign-born. For the country as a whole, the absolute number of TB cases and the rate per 100,000 declined for the second consecutive year. 9,093 cases were reported in 2017, down from 9,272 in 2016. In 2017, a total of 9,093 new cases of tuberculosis (TB) were provisionally* reported in the United States, representing an incidence rate of 2.8 cases per 100,000 population. The case count decreased by 1.8% from 2016 to 2017, and the rate declined by 2.5% over the same period. These decreases are consistent with the slight decline in TB seen over the past several years. This report summarizes provisional TB surveillance data reported to CDC’s National Tuberculosis Surveillance System for 2017 and in the last decade. The rate of TB among non–U.S.-born persons in 2017 was 15 times the rate among U.S.-born persons. Among non–U.S.-born persons, the highest TB rate among all racial/ethnic groups was among Asians (27.0 per 100,000 persons), followed by non-Hispanic blacks (blacks; 22.0). Among U.S.-born persons, most TB cases were reported among blacks (37.1%), followed by non-Hispanic whites (whites; 29.5%). Previous studies have shown that the majority of TB cases in the United States are attributed to reactivation of latent TB infection (LTBI). In terms of absolute number of cases, the number of cases diagnosed in foreign born residents remained essentially the same, going from 6,351 in 2016 (68.7 percent) to 6,346 in 2017 (69.8 percent). The number of cases diagnosed in native born residents declined from 2,901 in 2016 to 2,698 in 2017. The annual percent change in rate in recent years has slowed from an average decline of 5.3% during 2010–2013 to an average decline of 2.0% during 2014–2017. In 2017, a total of 6,346 (69.8%) of U.S. TB cases occurred among non–U.S.-born persons, 2,698 (29.7%) cases occurred among U.S.-born persons, and 49 (0.5%) occurred among persons with no reported national origin. The TB rate among non–U.S.-born persons (14.6) was 15 times the rate among U.S.-born persons (1.0). Although these rates represent decreases among both groups in 2017 compared with 2016, the rate among U.S.-born persons declined 7.0%, whereas that among non–U.S.-born persons declined 0.9%. As Breitbart News has reported extensively, high rates of latent TB infection in the estimated two million foreign-born refugees who have been resettled in the United States since 1986 is one reason why the percentage of TB cases among foreign-born residents has increased dramatically over the past three decades.